An industrial style single light floor lamp finished in copper and fitted with a foot operated in-line switch. With a heavy circular stepped copper finish base and central over-arching stem supporting a domed, wide brimmed hanging lantern. 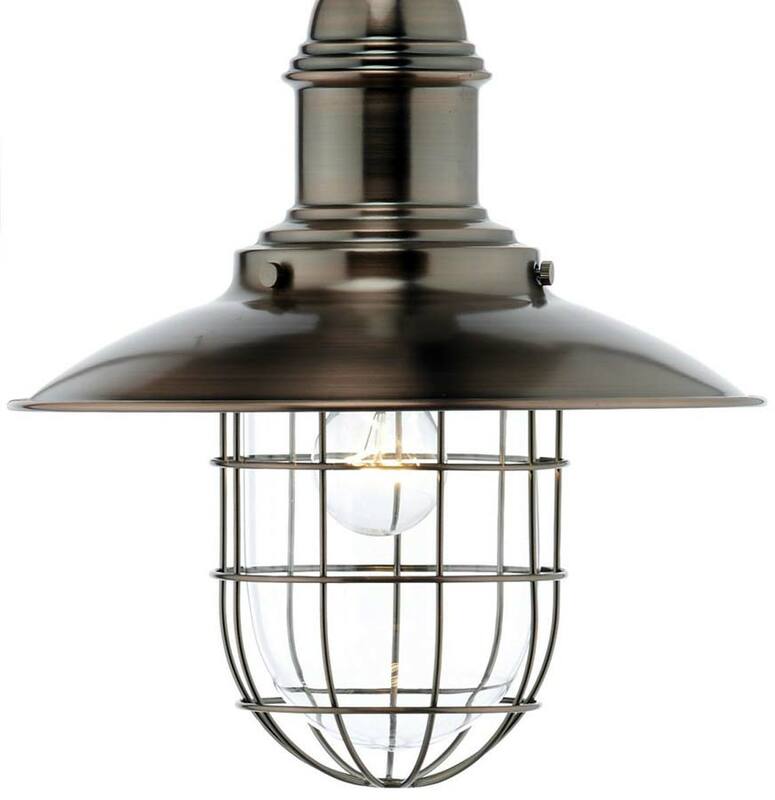 The lantern has an outer metal mesh cage and inner clear bell lens containing a single lamp. A traditionally styled, yet modern floor lamp that would look at home in either a traditional cottage setting, or modern industrial loft space. Class 2 double insulated, no earth required. Other products in the copper finish Terrace range can be viewed below and include a ceiling pendant, single wall light and matching table lamp. Whether it’s a light for a lounge, hall or bedroom floor we’ve got a fantastic collection of suitable lamps in our floor standing section. From traditional floor lamps to state of the art contemporary LED artistic pieces, you’ll be spoilt for choice.